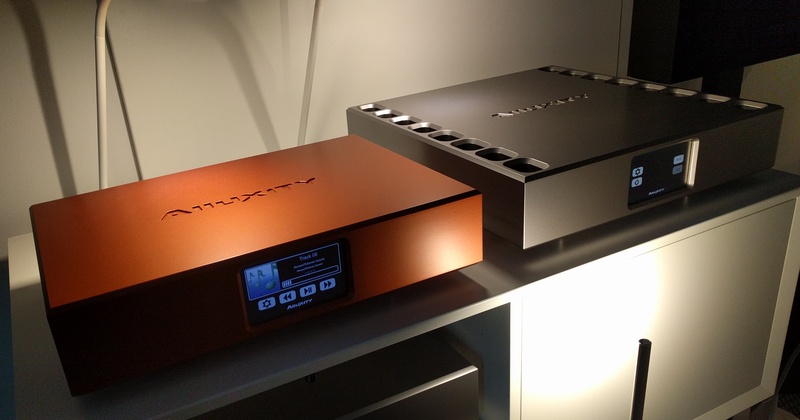 Alluxity is the brainchild of Alexander Vitus Mogensen, the son of the Hans Ole Vitus – the owner/founder of Vitus Audio. Alexander clearly comes from good audiophile stock, he worked for Vitus for 5 years, learning about circuit design, software and computer aided design and integrating it all together in their class leading facility in Herning, Denmark. He learned from the very best in the industry. As Alexander got older he wanted to spread his wings and do his own thing and Alluxity is the end result. The design is simple and elegant, with clean lines and beautiful one-piece casework which is pure luxury when you encounter it first hand. Operation is incredibly intuitive using the 5 inch colour touchscreen and of course the performance is pure high end which is not surprising given Alexanders history. It stands alone from Vitus with a character all of its own – it sounds rich, detailed with masses of tone and incredible texture. It is effortlessly musical in its presentation and has real soul and depth. A couple of hours spent listening to Alluxity is a wonderful experience, it slowly draws you in with its incredible fluidity and is so melodic it really allows you to connect to your music on an emotional level. There is only a handful of boxes in the range, less is more and all that. It almost has a ‘lifestyle’ appearance about it, it certainly isn’t utilitarian like so many brands are these days and it puts key sonic values like emotion, soul, finesse, melody ahead of infinite resolution and detail and stridency like so many brands do at the expense of actually connecting to the music. The range has been kept deliberately simple with only 4 products in the range. Nothing is complicated, you can even control the volume from your phone or tablet.